I been a fan of Ruggero Deodato for a while now – and I have seen just about all his films… But the Man reminds me of Takashi Miike and his style of directing and the kind if films he directs? He moves from making Cop-Thrillers right down to the Ultra-Gory now to Fantasy and Kids films. Perhaps he is best known for directing one of my favourites Cannibal Holocaust the so called BANNED in more than 50 countries! Now the Barbarians? Not on the same leave as his but still a great watch. It has a story that’s been told before but it’s surely never boring… Peter Jackson credits The Barbarians as being one of his favourites and an inspiration to Lord of the Rings. Has a very short and fast faced plot but overall it works… Funny, Entertaining, Thrilling at least to say. The Music is pretty good, nothing that so much makes the film but still pretty Camp is terms of quality and WTF we are listing too (Techno possibly). The Special Effects are impressive for an Italian picture and the time and money that had to work on it. Though I’m surprised how there is no Gore? As I have said before Ruggero is use to making Ultra Gory films and his most famous being Cannibal Holocaust, My favourite of all his flicks being Last Cannibal World. 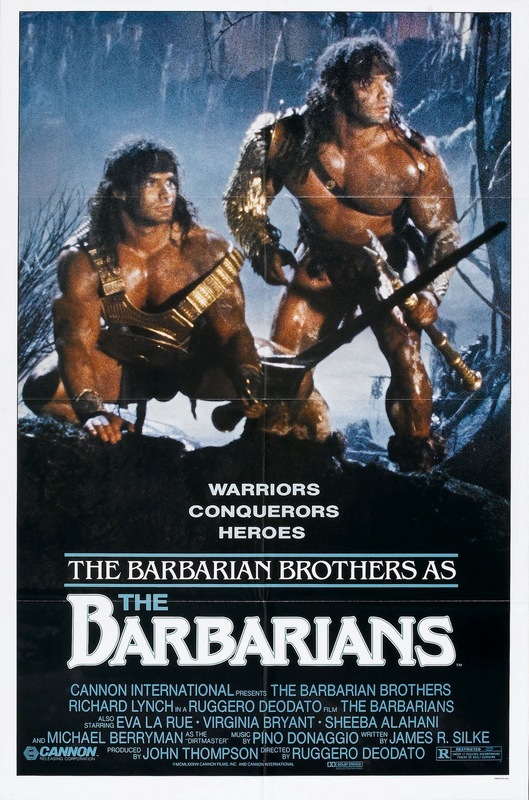 Overall he has made some great picture and The Barbarians is worth a watch if you can get your hands on it.